Like Windows, macOS also has secret files that are hidden so that a user doesn’t meddle with it but sometimes you need to access the hidden files. If you want to tweak a setting to perform a troubleshooting step (like finding a log or deleting a preference file), you need to make some changes in those hidden files. Some of you also want to get rid of the files from the hidden folder as they take way too much space. Well, we have a solution for it. With the help of terminal and simple command, you can get your Mac’s hidden files and folders. 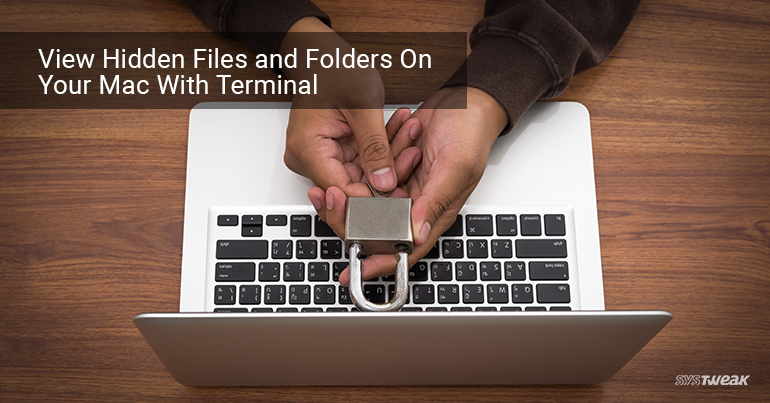 In this article, we have discussed how to view hidden files and folders on Mac with Terminal. You can launch Terminal via Spotlight. Go to Finder bar and look for a magnifying glass like icon and click on it to open Spotlight. Type Terminal, Spotlight will open a terminal for you. On OS X, open your Applications folder. Must Read: Quitting Apps on Mac Just Got Handier! Now that you have accessed Terminal. Press the return or enter key after you enter each line of text. These commands will allow you to use Finder to find all the hidden files on your Mac. Note: It is normal to see the Desktop screen vanish and reappear while executing the commands. Once these commands are executed, you will be able to see a file named.DS_Store. The .DS_Store file consists of information about the folder, you are currently in, including the icon, the location of the window and other bits of information the system requires. Moreover, you get the access to the important hidden folders such as the Library folder inside your Home folder. The Library folder contains many files and folders which is related to a particular apps and services that you use on your Mac. Note: It is recommended to take a good look at your Library folder and target the issue that you are having, then make any changes. Now that you have seen the hidden folders or you are done with the troubleshooting, you must hide the folders to keep them safe. Press return key or enter key to execute the command and done, the hidden files are hidden once again. In this way, you can hide and show the hidden folders of Mac with the help of Terminal. Try it and let us know what worked for you. Watch this space for cool tech tips!